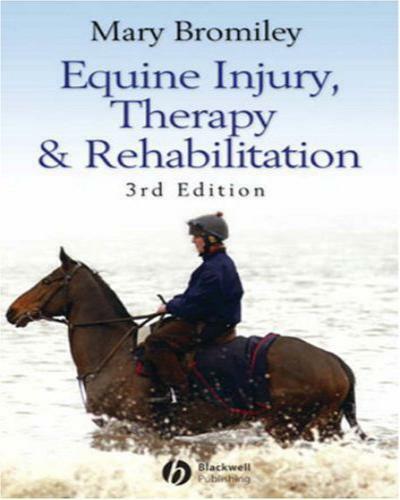 Equine Injury, Therapy and Rehabilitation 3rd Edition, Mary Bromiley’s book remains essential reading for both professionals and the general riding community. This new edition builds on the huge success of the previous editions, first published in 1987. Fully updated to reflect recent technological advances in diagnostic ability, as well as the proven physiological effects of light, magnetic fields and electrical currents on body tissues. This information allows readers to both understand and make an informed choice of appropriate therapy following a diagnosed injury. The original edition was the first book on the subject and it has continued to be a bestseller. Covers a subject that is of worldwide interest. The author is recognised as a pioneer at the forefront of this type of treatment. For domestication, dictionary deﬁnition, ‘trained to live with and be kept by man’, substitute ‘source of multiple usage’; food, transport, and later, following the invention of the wheel, the engine for vehicle/chariot. Archaeologists suggest the relationship may have actually been mutually beneﬁcial, a two-way adaptation, rather than man dominance. A type of compatible evolution, the horse possibly recognising steward-ship by man, reduced the ever-present danger of attacks by predators, man realising a source of semi-tame meat was advantageous. Mechanisation has changed the role of the horse; no longer required, except in a few remote areas, as a means for transport and survival, the animal has become, not just a source of pleasure, but a competition adjunct, enabling man to extend his prowess through equestrian sports; polo and racing both brought back from the Mongolian steppes; dress-age, originating from movements taught for combat survival; chariot racing has been replaced by competitive driving. Show jumping, eventing, endurance riding, the list continues to expand, the most recent being horse-drawn surﬁng.